Professor Winfried Steiner (Department of Marketing at Clausthal University of Technology). 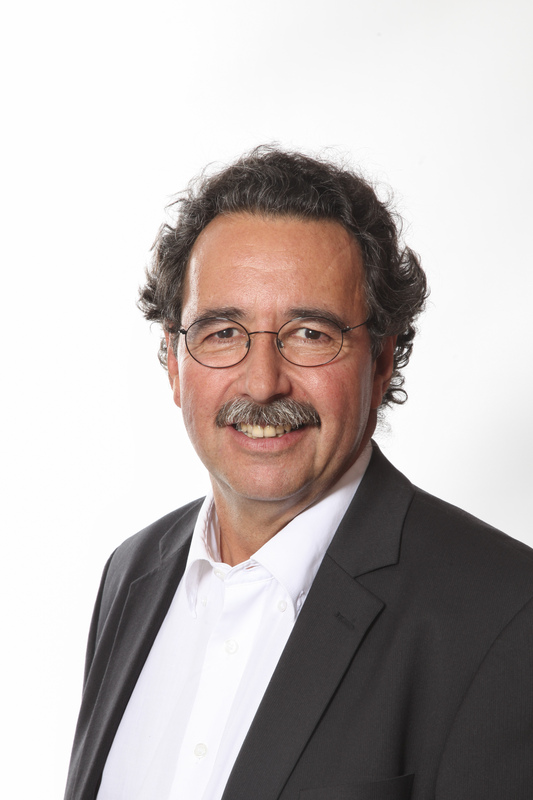 Peter Kurz is Managing Partner - Innovation & Methods at bms marketing research & strategy in Munich, Germany. From 2001 to 2018 he worked as Head of Research and Development for KANTAR TNS. He is working in the field of conjoint analysis and discrete choice models since 1996 and is one of the world´s leading practitioners in the field of discrete choice modeling and conjoint analysis with a strong academic background. Up to now, Peter supervised more than 5,000 conjoint studies worldwide for clients of nearly all industry sectors including both durable and nondurable consumer goods as well as services. Beyond discrete choice and conjoint models, he is an expert for nonlinear models, regression techniques, and Bayesian statistics. Peter holds an M.A. in Sociology, Political Sciences and Statistics from the University of Tübingen and the University of Applied Science Aalen. Before he joined the TNS Company he worked as assistant and lecturer for statistics at the University Tübingen, Consultant for Data Analysis at the Department of Criminology from University Tübingen, Project Manager of a Panel-Study on juvenile delinquency, and scientific assistant (C2) at the Institute of Criminal Justice at the University Münster. Peter is a frequent presenter on academic conferences (GFKL, AGDANK, BIS, ECDA, CLADAG, Marketing Science, SKIM, Sawtooth Conference, ART Forum), he presented more than 35 papers in the last 20 years. Peter is well known in the international choice modeling community for his work on the upper level model in Hierarchical Bayes estimation and for his studies on the validity of choice models. Hein, M., Kurz, P., Steiner, W.:On the effect of HB covariance matrix prior settings: A simulation study. Journal of Choice Modelling (forthcoming). Hein, M., Kurz, P., Steiner, W.: Analyzing the Capabilities of the HB Logit Model for Choice-Based Conjoint Analysis: A Simulation Study. In: Journal of Business Economics (forthcoming). Kurz, P., Binner, S. (2018): Predictive Analytics with Revealed Preference − Stated Preference Models. Proceedings of the 2018 Sawtooth Software Conference. Kurz, P., Binner, S. (2017): Simulating from HB Upper Level Model, Proceedings of the 2016 Sawtooth Software Conference. Kurz, P., Binner, S. (2015): Capturing Individual Level Behavior In DCM, Proceedings of the 2015 Sawtooth Software Conference. Selka, S., Baier, D., Kurz, P. (2014): The Validity of Conjoint Analysis. An Investigation of Commercial Studies over Time. Spiliopoulou, Myra (Hrsg. ): Data Analysis, Machine Learning and Knowledge Discovery, Springer, 227-234. Kurz, P, Binner, S. (2011): Added Value through Covariates in HB Modeling?, Proceedings of the 2011 Sawtooth Software Conference. Kurz Peter (2008): A Comparison between Discrete Choice Models based on Virtual Shelves and Flat Shelf Layouts, Proceedings SKIM Working Towards Symbioses Conference Barcelona. 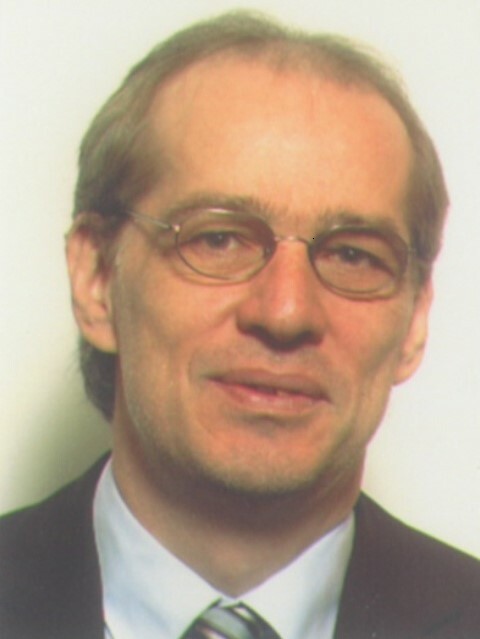 Winfried Steiner is Professor of Marketing at Clausthal University of Technology, Germany. He holds a diploma in Business and Economics from the University of Augsburg, and achieved his doctoral grade and postdoctoral lecture qualification at the Faculty of Business and Economics of the University of Regensburg. Winfried started to work in the field of conjoint analysis in his doctoral thesis where he proposed heuristics and game-theoretic conjoint models for optimal new product (line) design. Since then his research has been published in refereed journals like European Journal of Operational Research, International Journal of Research in Marketing, OR Spectrum, Journal of Business & Economic Statistics, Journal of Applied Econometrics, Journal of Choice Modelling, Journal of Business Economics (formerly ZfB), Zeitschrift für betriebswirtschaftliche Forschung (zfbf), Marketing ZFP, Journal of Retailing and Consumer Services, Computational Statistics, International Journal of Market Research, Review of Marketing Science, or ASTA Advances in Statistical Analysis. Winfried is a regular presenter on international conferences (ECDA, GFKL, Marketing Science, EMAC, EIRASS, EURO, ASMDA, CLADAG), and was listed in the Handelsblatt Ranking 2009 for business economists among the top 200 researchers at universities in Germany, Austria and Switzerland. Beyond conjoint analysis he has a strong research focus on sales and price response modeling where he is known as an expert for semi-/nonparametric and Hierarchical Bayesian regression models. Paetz, F., Steiner, W.: The Benefits of Incorporating Utility Dependencies in Finite Mixture Probit Models. In: OR Spectrum, 39(3), 2017, 793-819. Paetz, F., Steiner, W.: Utility Independence versus IIA Property in Independent Probit Models. In: Journal of Choice Modelling, Vol.26,2018,41-47. Paetz, F., Steiner, W.: Die Berücksichtigung von Abhängigkeiten zwischen Alternativen in Finite Mixture Conjoint Choice Modellen: Eine Simulationsstudie. In: Marketing ZFP - Journal of Research and Management, Vol. 37 (2), 2015, 90-100. Steiner, W.: A Stackelberg-Nash Model for New Product Design. In: OR Spectrum, Vol. 1, 2010, 21-48. Baumgartner, B., Steiner, W.: Hierarchisch bayesianische Methoden in der Conjointanalyse. In: Baier, D., Brusch, M. (Hrsg. ): Conjointanalyse: Methoden-Anwendungen-Praxisbeispiele, 2009, 147-162. Steiner, W., Baumgartner, B.: Spieltheoretische Ansätze in der Conjointanalyse. In: Baier, D., Brusch, M. (Hrsg. ): Conjointanalyse: Methoden-Anwendungen-Praxisbeispiele, 2009, 183-198. Baumgartner, B., Steiner, W.: Are Consumers Heterogeneous in their Preferences for Odd and Even Prices? New Empirical Findings from a Choice-Based Conjoint Study. In: International Journal of Research in Marketing, Volume 24 (4), 2007, 312-323. Steiner, W., Hruschka, H. (2005): Heuristiken in der Produktpolitik. In: Holzmüller, H.H., Schuh, A.: Innovationen im sektoralen Marketing, 163-181. Steiner, W., Baumgartner, B.: Conjoint-Analyse und Marktsegmentierung. In: Zeitschrift für Betriebswirtschaft (ZfB), 74. Jahrgang, Heft 6, 2004, 1-25. Steiner, W., Hruschka, H.: Genetic Algorithms for Product Design: How Well Do They Really Work. In: International Journal of Market Research, The Journal of the Market Research Society, Volume 45, Quarter 2, 2003, 229-240. Steiner, W., Hruschka, H.: Produktliniengestaltung mit Genetischen Algorithmen. In: Zeitschrift für betriebswirtschaftliche Forschung (zfbf), Jahrgang 54, November 2002, 575-601. Steiner, W., Hruschka, H.: A Probabilistic One-Step Approach to the Optimal Product Line Design Problem Using Conjoint and Cost Data. In: Review of Marketing Science, Electronic Journal, 2002. Steiner, W., Hruschka, H.: Conjointanalyse-basierte Produkt(linien)gestaltung unter Berücksichtigung von Konkurrenzreaktionen. In: OR Spectrum, Volume 1, 2000, 71-95. Guhl, D., Baumgartner, B., Kneib, T., Steiner, W.: Estimating Time-Varying Parameters in Brand Choice Models: A Semiparametric Approach. International Journal of Research in Marketing, 35(3), 2018, 394-414. Baumgartner, B., Guhl, D., Kneib, T., Steiner, W.: Flexible Estimation of Time-Varying Effects for Frequently Purchased Retail Goods: A Modeling Approach Based on Household Panel Data. OR Spectrum, Vol. 40(4), 2018, 837-873. Weber, A., Steiner, W., Lang, S.: A Comparison of Semiparametric and Heterogeneous Store Sales Models for Optimal Category Pricing. OR Spectrum, Vol. 39 (2), 2017, 403-445. Lang, S., Weber, A., Steiner, W., and Wechselberger, P.: Accommodating Heterogeneity and Nonlinearity in Price Effects for Predicting Brand Sales and Profits. European Journal of Operational Research (EJOR), Vol. 246(1), 2015, 232-241. Haupt, H., Kagerer, K., Steiner, W.: Smooth Quantile-Based Modeling of Brand Sales, Price and Promotional Effects from Retail Scanner Panels. In: Journal of Applied Econometrics (JAE), Vol. 29(6), 2014, 1007-1028. Steiner, W., Siems, F., Weber, A., Guhl, D.: How customer satisfaction with respect to price and quality affects customer retention: an integrated approach considering nonlinear effects. In: Journal of Business Economics (JBE), Volume 84 (6), 2014, 879-912.